PigCHAMP is proud to announce the release of the PigCHAMP Mobile App; the latest in out handheld data entry systems. This new app allows for remote data entry of PigCHAMP Reproductive information while providing reporting functionality and validation to users in real-time. This phone or tablet app, allows users to interact directly with PigCHAMP Online via an internet connection. The PigCHAMP Mobile App offers a variety of unique features to its users including Bluetooth-enabled RFID functionality, barcode scanning using the camera on your device, and multi-device and user options. The app can be downloaded on Android products and iPhone or iPad. For more information about our newest product, email us or call us toll-free at 866.774.4242 X27. Mark your calendars! 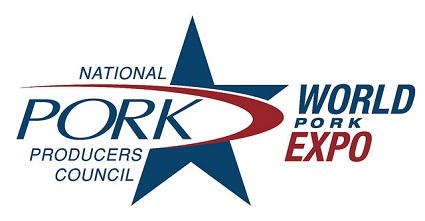 World Pork Expo is June 6 - 8th at the Iowa State Fairgrounds in Des Moines. Come see us at booth #577 in the Varied Industries Building! Interested in our Mobile Stand-Alone Hardware from Nautiz? We're offering 5% off until the end of August. Find out more at WPX or call our office for more information today. Each month we want to take the opportunity to highlight one of our Allied Business Partners who provide customer service, training, technical support, and product information to our customers in different regions of the U.S. and abroad. PigCHAMP Pro Europa is an 18 years old Spanish company dedicated to data management, health and productivity analysis, as well as research under contract for companies (nutrition, reproduction, health, welfare, and environment). They have customers in the EU and LatAm and run international research projects in these areas and Canada. visit their page on our website. The PigCHAMP team is excited to be bringing Hailey, our Customer Solutions Intern, on board! 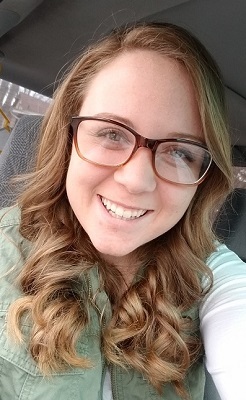 Hailey Arthur is a senior at Iowa State University majoring in Animal Science. She is an active member in Block and Bridle and is a committee member for the ISU Bacon Expo. During the school year, she works as a lab technician at the ISU Genetics Lab and has previous work experience with Cactus Family Farms in Osceola, Iowa in all areas of production. Help us in welcoming Hailey to the team this summer!